Did life on Earth begin in a rudimentary form in outer space, brought to Earth billions of years ago? In August 1996, a team of scientists discovered that a Martian rock found in Antarctica contained evidence of fossilized life. The four-pound rock showed the presence of carbonate globules excreted by microbes when they were alive on Mars 3.6 billion years ago, at a time the climate on Mars could sustain life as we know it. This discovery proved cross-contamination between Mars and Earth which possibly could have led to the evolution of life on this plant. The related but distinct idea of exogenesis (outside origin) is a more limited hypothesis that proposes life on Earth was transferred from elsewhere in the Universe but makes no prediction about how widespread it is. Because the term "exogenesis" is more well-known, it tends to be used in reference to what should strictly speaking be called panspermia. Panspermia does not necessarily suggest that life originated only once and subsequently spread through the entire Universe, but instead that once started, it may be able to spread to other environments suitable for replication. Some bacteria and animals have been found to thrive in oceanic hydrothermal vents above 100 °C; a study revealed that a fraction of bacteria survive heating pulses up to 250°C in vacuum, while similar heating at normal atmospheric pressure leads to the total sterilization of samples. Other bacteria can thrive in strongly caustic environments, others at extreme pressures 11 km under the ocean. 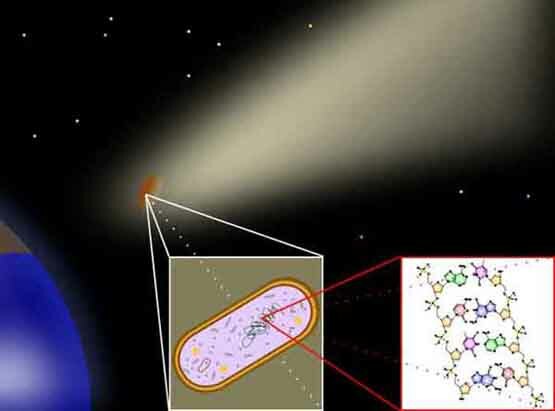 Recent experiments suggest that if bacteria were somehow sheltered from the radiation of space, perhaps inside a thick meteoroid or an icy comet, they could survive dormant for millions of years. Pseudo-panspermia (sometimes called "soft panspermia" or "molecular panspermia") argues that the pre-biotic organic building blocks of life originated in space and were incorporated in the solar nebula from which the planets condensed and were furtherÑand continuouslyÑdistributed to planetary surfaces where life then emerged (abiogenesis). 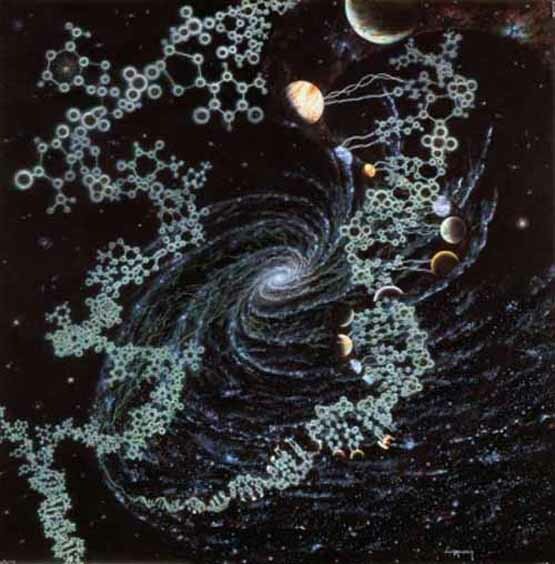 From the early 1970s it was becoming evident that interstellar dust consisted of a large component of organic molecules. Interstellar molecules are formed by chemical reactions within very sparse interstellar or circumstellar clouds of dust and gas. The dust plays a critical role of shielding the molecules from the ionizing effect of ultraviolet radiation emitted by stars. A sugar molecule that plays a fundamental role in the existence of life could likely survive in deep space, according to a new study. NASA astrophysicists have successfully created the sugar 2-deoxyribose - or, the ÔDÕ in DNA - in the conditions of interstellar space. The laboratory study is to first to show that the sugar can form in this setting, suggesting the building blocks for life could be widespread in the universe. 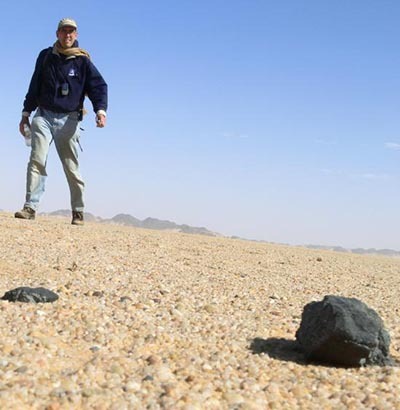 A chunk of rock which fell to Earth and was discovered in the deserts of Egypt may hold the key to our understanding of how the solar system was formed. The Hypatia stone, named for the first Western woman mathematician and astronomer, contains minerals unlike anything seen before in our solar system. Experts say the extraterrestrial object may have formed at a time when the universe was still taking shape and may predate the sun and its surrounding planets. It contains micro-mineral compounds not found elsewhere in our region of space, or in known meteorites and comets, and has the potential to rewrite the history books. Nearly half of the atoms that make up our bodies may have formed beyond the Milky Way and travelled to the solar system on intergalactic winds driven by giant exploding stars, astronomers claim. The dramatic conclusion emerges from computer simulations that reveal how galaxies grow over aeons by absorbing huge amounts of material that is blasted out of neighboring galaxies when stars explode at the end of their lives. Half of the atoms making up everything around you are intergalactic interlopers. Large galaxies like our Milky Way amassed half their matter from neighboring star clusters up to a million light years away, according to a new simulation. Panspermia hypothesis proposes that life travels between stars and planets, surviving the effects of interstellar journeys and finally settling down on a planetary surface, beginning new evolutionary processes. 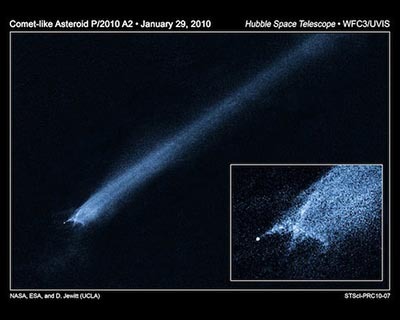 The microorganisms can be transported to random destinations by asteroids, comets or meteoroids or distributed intentionally by some intelligent alien civilization. But with Earth as the only example of a life-bearing planet, the essential question is: If panspermia really occurs, how could we detect it? New results show how collisions between comets and planets can make molecules that are the essential building blocks of life. This suggests that the chemistry needed to gather the molecular ingredients for life could be more common than previously recognized. Earth scientists from Japan carried out experiments to mimic comet impacts that occurred on early Earth. 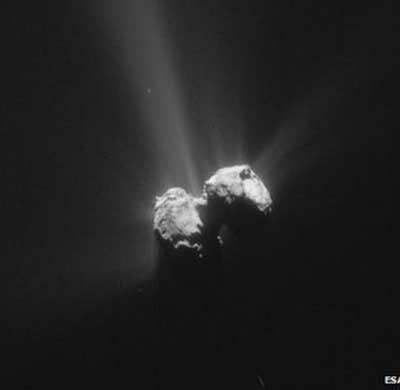 They found chemical reactions to make the primordial "soup for life" can occur anywhere that comets collide. Life may have started on Mars before arriving on Earth, a major scientific conference has heard. New research supports an idea that the Red Planet was a better place to kick-start biology billions of years ago than the early Earth was. 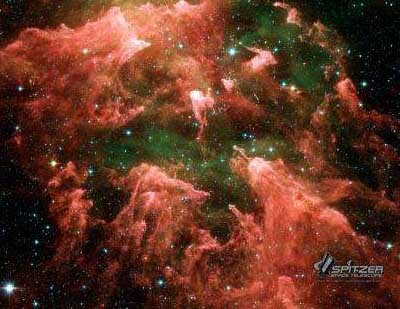 The evidence is based on how the first molecules necessary for life were assembled. Researchers at the University of Leeds may have solved a key puzzle about how objects from space could have kindled life on Earth. While it is generally accepted that some important ingredients for life came from meteorites bombarding the early Earth, scientists have not been able to explain how that inanimate rock transformed into the building blocks of life. This new study shows how a chemical, similar to one now found in all living cells and vital for generating the energy that makes something alive, could have been created when meteorites containing phosphorus minerals landed in hot, acidic pools of liquids around volcanoes, which were likely to have been common across the early Earth. The answer to whether or not we are alone in the universe could be right under our nose, or, more literally, inside every cell in our body. Could our genes have an intelligently designed "manufacturer's stamp" inside them, written eons ago elsewhere in our galaxy? Such a 'designer label' would be an indelible stamp of a master extraterrestrial civilization that preceded us by many millions or billions of years. As their ultimate legacy, they recast the Milky Way in their own biological image. We know so little about the origin of life on Earth it seems presumptive to identify genetic structure that supposedly defies a natural explanation. Even the discovery of life elsewhere in the solar system would not provide an independent test of this idea. Panspermia could have naturally occurred among the planets and moons. And, even if the genetic code is ultimately considered the handprint of an extraterrestrial grand designer, then who designed the designer? 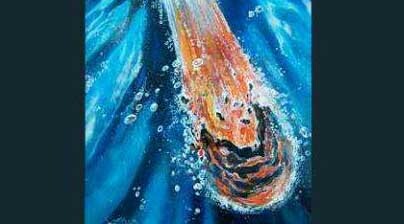 The components of DNA have now been confirmed to exist in extraterrestrial meteorites, researchers announced. A different team of scientists also discovered a number of molecules linked with a vital ancient biological process, adding weight to the idea that the earliest forms of life on Earth may have been made up in part from materials delivered to Earth the planet by from space. Past research had revealed a range of building blocks of life in meteorites, such as the amino acids that make up proteins. Space rocks just like these may have been a vital source of the organic compounds that gave rise to life on Earth. A meteorite found in Antarctica could lend weight to the argument that life on Earth might have been kick-started from space, scientists are claiming. 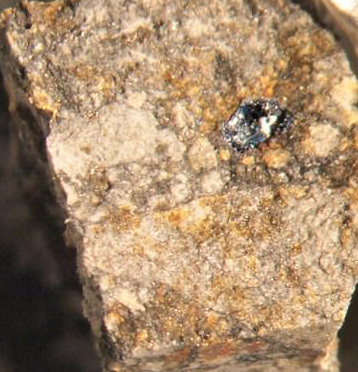 Chemical analysis of the meteorite shows it to be rich in the gas ammonia. It contains the element nitrogen, found in the proteins and DNA that form the basis of life as we know it. New evidence that space rocks may have seeded life on Earth. 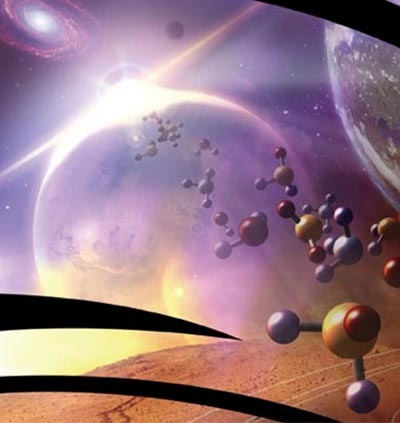 Hot on the heels of finding arsenic-loving life-forms, NASA astronomers have uncovered amino acids - the fundamental foundation for life - in a place where they shouldn't be. 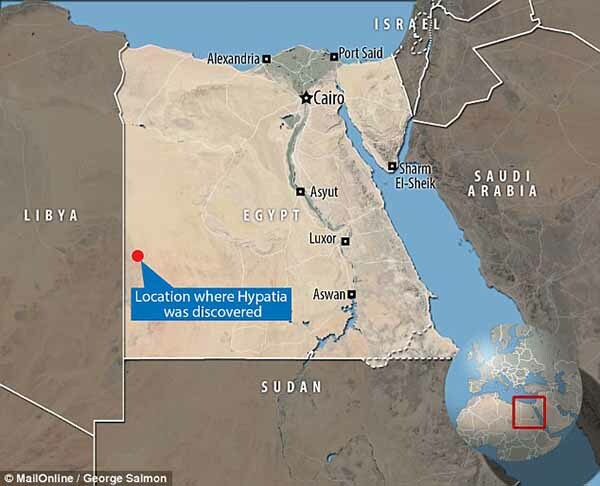 The acids - precursors of proteins - have been unexpectedly found inside fragments of previously superheated meteorites that landed in northern Sudan in 2008, a new study says. Amino acids have already been found in a variety of carbon-rich meteorites formed under relatively cool conditions. Panspermia is a mechanism for spreading organic material throughout the galaxy, but the destructive effects of cosmic rays and ultraviolet light tend to mean most organisms would be destroyed or arrive on a new world broken and dead. Now Paul S. Wesson, a visiting researcher at the Herzberg Institute of Astrophysics in Canada, suggests the information contained within damaged organic material could seed new life. He terms this process necropanspermia.